OK, everybody, I have something very special today. You’ve all been waiting for it, and at long last it’s here. 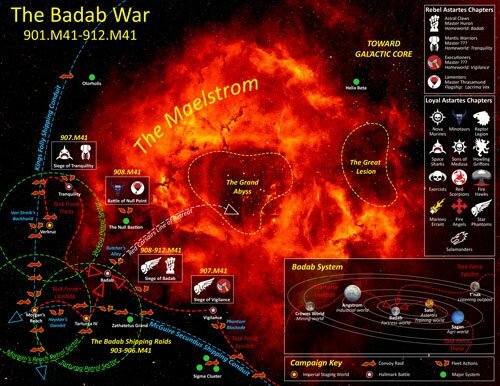 Myself, Aventine, Kings, Minus67, Goatboy and many, many others have wrapped up the Badab War campaign book. 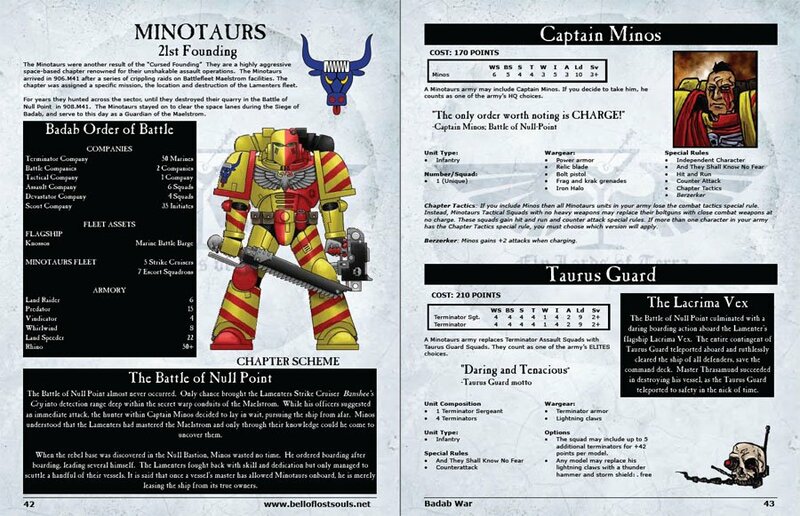 Within its 92 pages you will find a set of rules to allow you all to play games during the greatest Astartes rebellion since the Horus Heresy. Here is the link to download the 7mb Adobe Acrobat file for the rule-set. Note: This book is specifically designed for 2-page book style printing and viewing. If you want to open it in Acrobat, please make sure you set your options to view 2-page spreads “2-up”, and “show cover page during 2-up”. 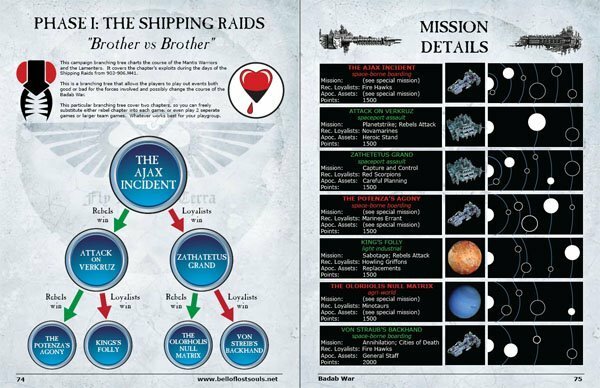 Within you will find the history of the Badab War, rules for each of the Loyalist and Rebel Astartes chapters, and thier specialized units. 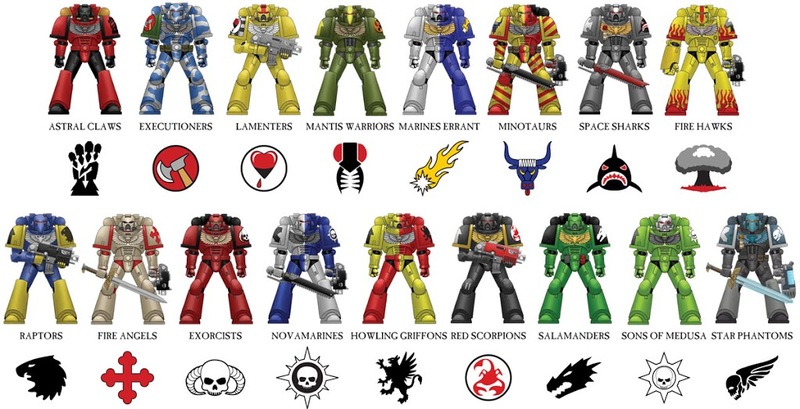 A large set of new Named Characters offers something to every player and modeler out there. There are also time lines, maps, and great artwork throughout. 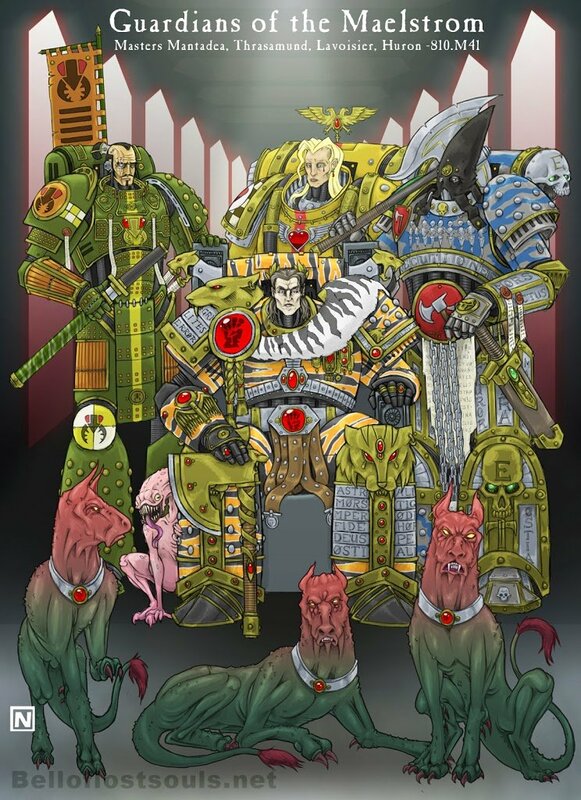 We have included a full color hobby section, a full branching tree campaign, allowing you to change the outcome of the conflict. Here are a few teaser pictures of battles, maps, and Independent Characters to whet your appetite. Is it perfect or comprehensive? 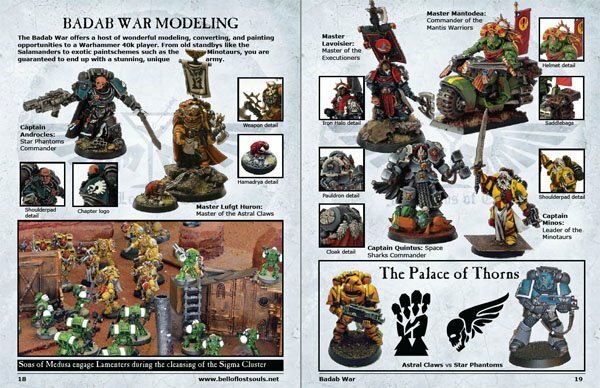 No, but I hope this serves as a starting point to get your creative juices flowing and give groups of Badab War enthusiasts a mutual set of rules they can use to start modeling and playing games. ~Its been a long time coming guys. Enjoy, and by all means, leave comments.